The Alu Peg by Outdoorer looks like a conventional tent peg, but as soon you hold the Alu Peg in your hand, you notice the difference. These pegs made from aluminium weigh almost nothing – only 14 grams. 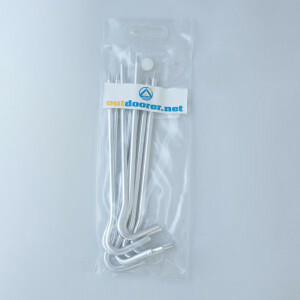 Therefore, many trekkers and mountain hikers place their trust in these aluminium pegs by Outdoorer as they have to justify every gram of weight they carry. Although the aluminium pegs are very lightweight, they secure your tent reliably on a variety of soils. The Alu Pegs are available at Amazon. When trekking or mountain hiking, it is particularly important to avoid even one extra gram of weight. 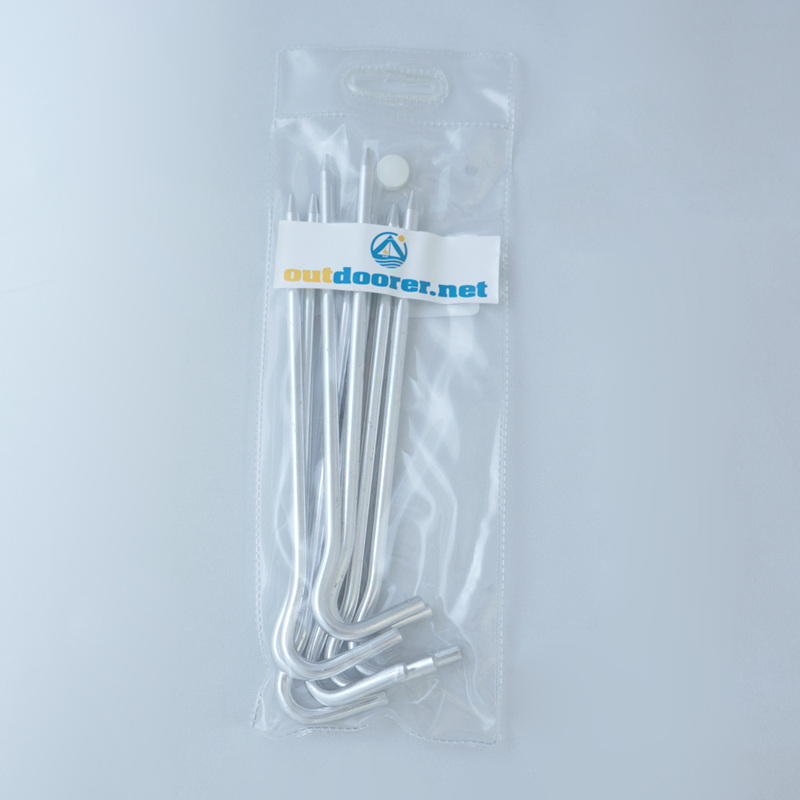 These tent pegs made of aluminium by Outdoorer are so light (about 14 grams each), that they are hardly noticeable in terms of weight. 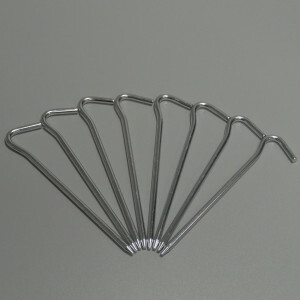 So these aluminium pegs are, for example, also ideal as a complement to a lightweight tent. The set consists of 8 pieces, enough to keep a tent stable and secure. 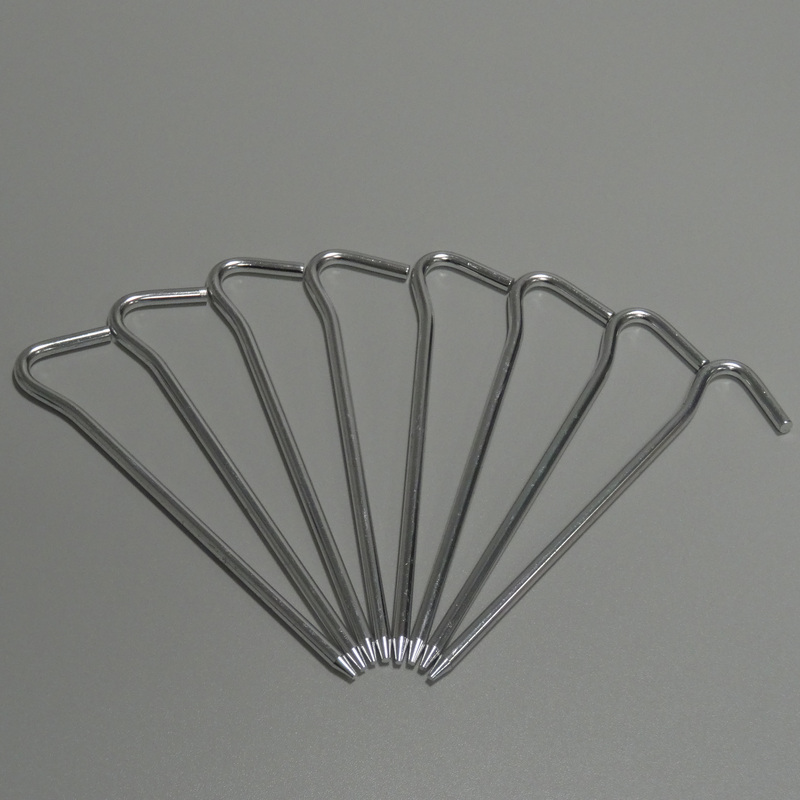 The Alu Peg tent pegs are stable, ultra-light and very durable. This great combination of product features is made possible by the special material from which these tent pegs are made – high-quality, robust aluminium. These aluminium pegs will therefore not even bend when they are driven into rockier soils. Although the Alu Peg by Outdoorer is extremely light, it is also extremely versatile thanks to the robust material. It is perfect for medium to hard wood and meadow soils and will not bend even with heavier loads. Since this aluminium tent peg has a small tip and the peg also has a very slim shape, it can be hit without effort in even harder soils. Campers know how quickly a peg can be lost, especially this extremely light and narrow aluminium peg. The practical transport bag with clip closure helps to avoid this. The aluminium pegs can be stored safely in it while still being ready to hand. Where can I buy the Alu Peg aluminium tent pegs? You can purchase the aluminium tent pegs Alu Peg at Amazon.